In Shakespeare: The Invention of the Human, Harold Bloom suggests that we all use Shakespeare to our advantage, to help us work through our crises and map out our hopes and dreams. 2 Through Shakespeare, we invent ourselves. Certainly Shakespeare is ubiquitous in our memories of high school English, but what is it about his work that endures, and what is it about Shakespeare that can help us better understand Atlanta as we look forward to the next one hundred years? One answer might lie a century ago in Atlanta’s history, during the last centenary celebrations of Shakespeare’s death. 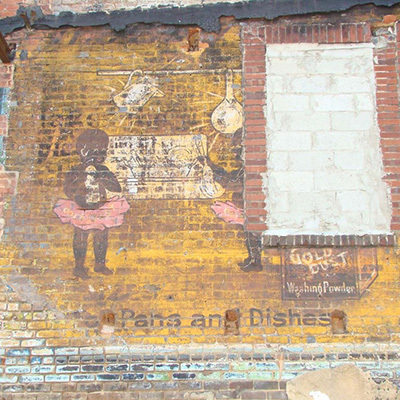 In 1916, the city considered itself the iconic Southern jewel, the Capital of the South, fast becoming the city “too busy to hate.” But this image of the burgeoning metropolis ignored the reality that, in 1913, Atlanta had just passed strict residential laws, officially segregating white and black residents, and as a whole it was still reeling from the effects of the 1906 race riot. 3 So the ideal of Atlanta seemed to be a rather fragile façade for a much different reality. And what emerges when we look closely at the celebrations of Shakespeare in the spring of that year are two Atlantas – one White, and one Black. 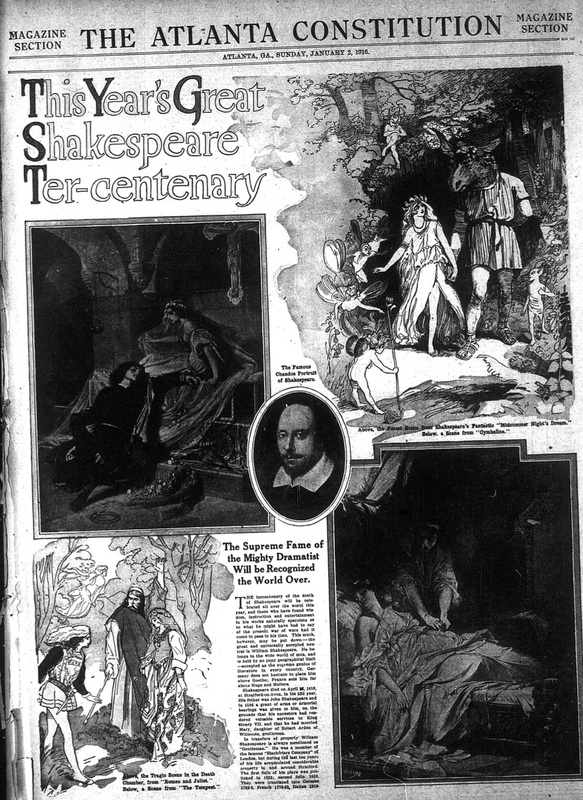 The Atlanta Constitution, “This Year’s Great Shakespeare Ter-Centenary.” January 2, 1916. The Atlanta Constitution, “Over 2,000 People Will Take Part in Elaborate Pageant On May 27, in Honor of Shakespeare Tercentenary.” May 21, 1916. The Atlanta Constitution had advertised this elaborate production in dozens of articles and at the request of the Drama League, regularly compared Carroll’s production — one of the first major celebratory events in the city since the 1895 Exposition — with many other large scale festivals and productions around the country that year, including the 1,500-member production, Caliban by the Yellow Sands by Percy McKaye in New York and the even larger production of Julius Caesar in Hollywood, which featured some 5,000 well-known actors and amateurs. 7 Among other things, such comparisons illuminate how this production was as much a celebration of Atlanta as of Shakespeare, fitting neatly within the larger pattern historian Steven Goodson describes in which Atlanta’s stages not only provided entertainment, but also helped “build Atlanta’s reputation as the cultural capital of the Deep South.” 8 And though it should come as no surprise that such a large-scale event should garner coverage in the city’s paper of record, many small celebrations of Shakespeare’s tercentenary, such as lectures at Emory University, were also noted throughout the year, if only briefly. 9 However, nowhere in The Atlanta Constitution was there even a nod to the continuing, dignified tradition of Shakespeare performances only a few miles away from Carroll’s pageant, at Atlanta University. Robert W. Woodruff Library, presented in the Digital Library of Georgia. Commencement season events in the last week of May such as Du Bois’s influential, annual Atlanta Conference, which promoted the institution as the seat of early sociology, provided Herndon’s all-Black student productions with an erudite audience, and in 1916, the timing of the class day production of Shakespeare’s The Taming of the Shrew (revived ten years after Herndon’s earlier production) closely corresponded with the date of Armond Carroll’s spectacular pageant across town in a public space perhaps off limits to many involved in the Atlanta University festivities. And yet, as Cahill argues, though Herndon’s 1916 production was part of a revered and ongoing Atlanta tradition, there was no recognition of it in or alongside the dozens of discussions of Carroll’s pageant and the larger tercentenary that occurred in the Atlanta Constitution. It has been one hundred years since Herndon’s elocutionary Shakespeare productions fell completely out of the University curriculum and long since Carroll’s pageant fell out of living memory, yet a new Atlanta continues to work through its internal tensions and its outward portrayal as a welcoming, bustling metropolis. Racial divisions in the city and in the country have taken new forms but are as evident as ever. Though we have ended Shakespeare’s quadricentenary, we pause to consider, just as Atlanta did in 1916, why his work matters. Are we, like many in that year, using Shakespeare as a means to avoid the realities of the ever-changing and vastly diversifying world around us, holding fast to an old vanguard of exclusion and elitism in the name of security? Or will we, like others in 1916, intentionally use Shakespeare to fashion safe and accessible spaces for all bodies and to de-marginalize voices which continue to inhabit, migrate to, and speak boldly against injustices in the city and the nation? Or perhaps we can allow for both uses and recognize such multiplicity not as a mark of shame or a sign of metropolitan fracture, but perhaps, like the plurality of voices already within Shakespeare’s texts and on stages, an enduring model for the diversity of Atlanta itself. 1. ↵ Over the year, the Folger Shakespeare Library sent a small number of its vast collection of First Folios (the first collection of Shakespeare’s plays) on tour to all fifty states, Washington DC, and Puerto Rico. In November, Emory University, in Atlanta, hosted one of these First Folios for the State of Georgia. Some cities shaped much of their arts scene for the year around the quadricentennial. Chicago hosted over 800 Shakespeare-themed events, while Tulane University in New Orleans commemorated the Bard with a widely publicized jazz funeral held in Shakespeare’s birthplace in Startford-upon-Avon, England. Heather Wolfe and Caroline Duroselle-Melish, “First Folio! Shakespeare’s American Tour,” The Folger Shakespeare Library, November 19, 2016, http://www.folger.edu/exhibitions/first-folio-shakespeares-american-tour; “Shakespeare 400 Chicago – About,” http://www.shakespeare400chicago.com/events.html; Melina Morris, “Watch New Orleans Jazz Funeral for Shakespeare in Stratford-upon-Avon,” Nola.com, The Times-Picayune, April 26, 2016, http://www.nola.com/music/index.ssf/2016/04/watch_new_orleans_jazz_funeral.html. 2. ↵ Harold Bloom. Shakespeare: The Invention of the Human. (New York: Riverhead Books, 1998). 3. ↵ Howard N. Rabinowitz, Race, Ethnicity, and Urbanization: Selected Essays (Columbia and London: University of Missouri Press, 1994), 148–52. 4. 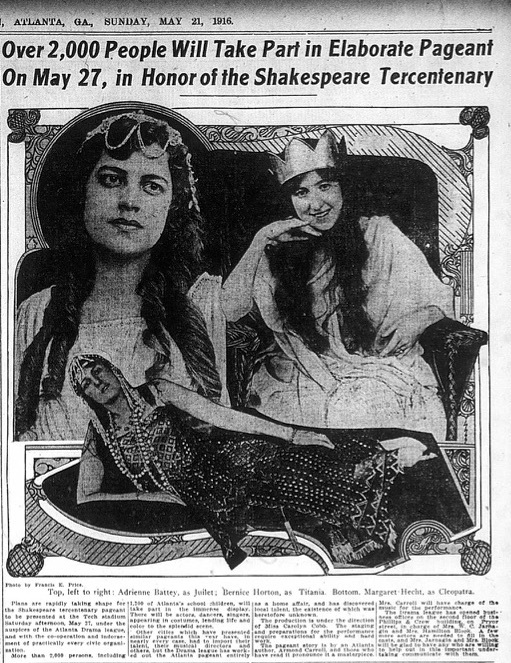 ↵ “Over 2,000 People Will Take Part in Elaborate Pageant On May 27, in Honor of the Shakespeare Tercentenary,” The Atlanta Constitution, May 21, 1916; “Celebrating Shakespeare,” The Atlanta Constitution, April 23, 1916. 5. 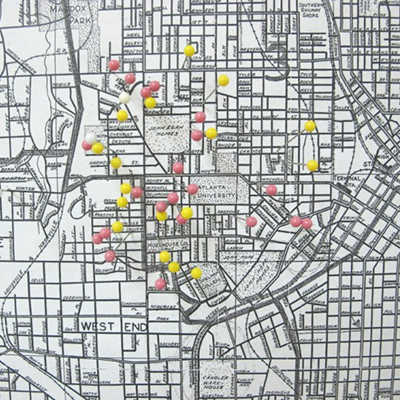 ↵ While The Atlanta Constitution might be consistent in locating the pageant at Piedmont Park, other publications, such as Carroll’s publication itself, also list the storied Grant Field (currently on the campus of Georgia Tech) as its location, even on the same day. 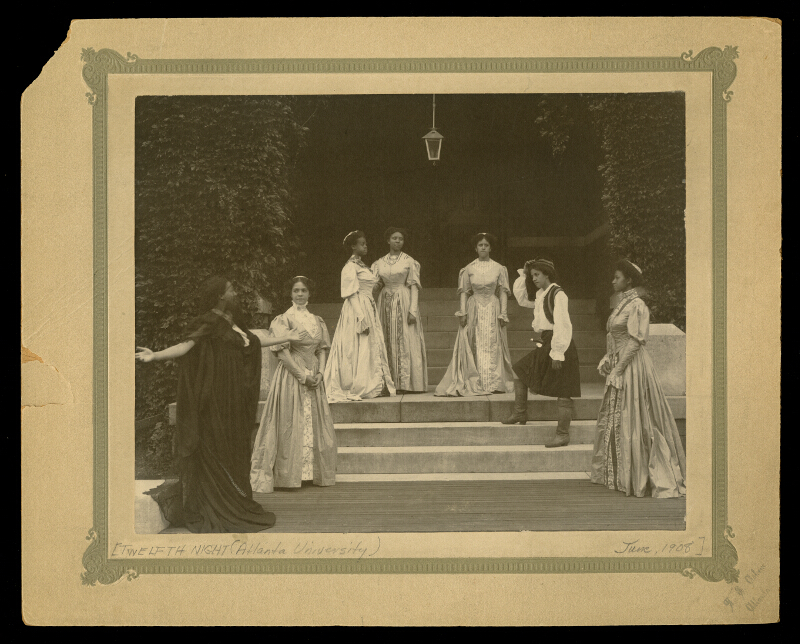 See Armond Carroll, A Pageant and Masque for the Shakespeare Tercentenary (Atlanta: National Drama League of America, Atlanta Center, 1916). 7. ↵ Drama League Monthly Bulletin, April 1916; Carlson, Andrew Canning and Charlotte M. Canning, “Shakespeare, Once and Future American,” American Theatre, August 3, 2016, http://www.americantheatre.org/2016/08/03/shakespeare-once-and-future-american/; “New York: 1914–1916,” ShakespeareAnniversary.org, August 1, 2011, http://www.shakespeareanniversary.org/?New-York,46; Esther French, “How ‘The New York Times’ Commemorated the Shakespeare Tercentenary in 1916,” Shakespeare & Beyond, Folger Shakespeare Library, April 15, 2016, http://shakespeareandbeyond.folger.edu/2016/04/15/new-york-times-shakespeare-tercentenary-1916/. 8. ↵ Steve Goodson, Highbrows, Hillbillies, and Hellfire: Public Entertainment in Atlanta, 1880-1930 (Athens: University of Georgia Press, 2002), 15. 9. ↵ “Bard of Avon is Honored by Students of Emory,” The Atlanta Constitution, April 27, 1916. 10. ↵ “The Drama in Colored America – 1.” The Crisis 3, no. 5 (March 1912): 198–99. https://hdl.handle.net/2027/hvd.32044009723073?urlappend=%3Bseq=206 ;Carole Merritt, “African Americans in Atlanta: Adrienne Herndon, an Uncommon Woman,” Southern Spaces, March 16, 2004, https://southernspaces.org/2004/african-americans-atlanta-adrienne-herndon-uncommon-woman. 11. ↵ Cahill, in a discussion of the “extension work” that Shakespeare, through the university, offered to coalesce the diversity of the Black community at the time, also attends to the lack of attention paid to Herndon’s productions during the events of the tercentenary in Atlanta. In addition to her teaching, Cahill’s forthcoming monograph goes in much more detail on the subject of radical politics of African American Shakespeare performances in the Jim Crow South. I am indebted in this piece to our many conversations on the history of Shakespeare in the Atlanta Black community. Patricia Cahill, “Extension Work,” Shakespeare in Our Time: A Shakespeare Association of America Collection, eds. Dympna Callaghan and Suzanne Gossett (New York and London: Bloomsbury Arden, 2016) 52-56. Patricia Cahill’s forthcoming monograph explores, in detail, the radical politics of African American Shakespeare performances in the Jim Crow South, and includes a lengthy discussion on the visual culture and photography of these performances. 13. ↵ This concept was articulated by black writers and artists in the period from John Henry Adams, Jr. to Alain Locke. For further reading see: Marlon Ross, Manning the Race: Reforming Black Men in the Jim Crow Era. (New York and London: NYU Press, 2004); Davarian L. Baldwin, Chicago’s New Negroes: Modernity, the Great Migration, and Black Urban Life. 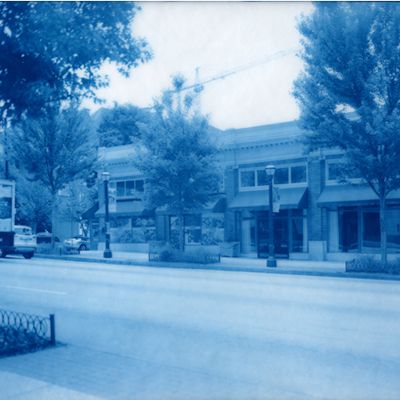 (Chapel Hill: U of North Carolina Press, 2007). 14. ↵ Cahill also acknowledges Herndon’s own important clarification that Shakespeare was not be be understood as a diversion from the injustice in the South, but credits the segregation policies with allowing a space for Shakespeare to circuit through the Black population which, as Herndon argues, was in a much better position to ascertain the genius of the Bard. “Extension Work,” 54.